ALICAM offers a unique opportunity for veterinarians to deliver more effective care by increasing their ability to accurately identify diseases with a client-friendly, cost-effective solution. Jean-Sébastien earned his veterinary degree from the University of Montreal. After a few years in private practice, he returned to academia and completed a rotating internship at the Ontario Veterinary College and an internal medicine residency at North Carolina State University. 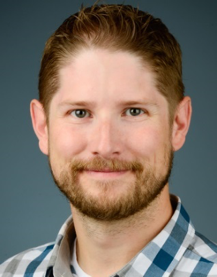 After spending an extra year at North Carolina State University as a clinical instructor, he joined Iowa State University where he is currently an assistant professor. Mike is a 1975 graduate of the Texas A&M University, College of Veterinary Medicine. He completed his internship and Masters degree at Kansas State University and his internal medicine residency at Michigan State University. After that, Dr. Willard held faculty appointments at Michigan State University, Mississippi State University, and now at Texas A&M University. He has also consulted and worked at a private referral practice. He is currently a professor of Small Animal Clinical Science and specializes in gastroenterology, hepatology, pancreatology and endoscopy (flexible and rigid). 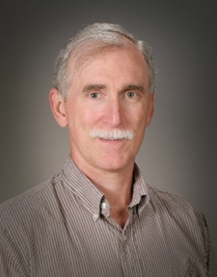 Dr. Willard has given over 3,000 hours of post-graduate continuing education lectures (nationally and internationally), has over 80 refereed publications, and has over 130 book chapters in print. He has worked extensively on sled dogs as well as with the World Small Animal Veterinary Association GI biopsy workgroup. 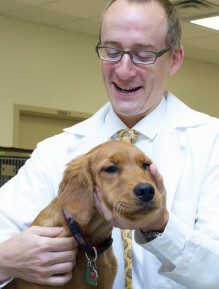 He is currently an Associate editor for the Journal of Veterinary Internal Medicine. 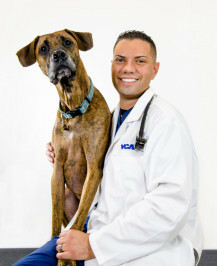 Brian earned his veterinary degree from the University of Minnesota. He completed an internship in small animal medicine and surgery at The Ohio State University, followed by a combined small animal internal medicine residency and Master’s degree program at the University of Minnesota. 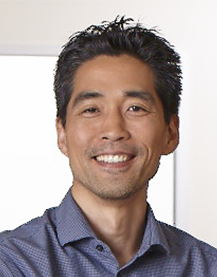 Prior to joining UC Davis as a Staff Veterinarian in Internal Medicine, Dr. Hardy worked in private practice in Santa Cruz, California, and then at Infiniti Medical. His areas of clinical interest are infectious and immune-mediated diseases, endocrine disorders, minimally invasive procedures and gastroenterology. Sean received his Doctor of Veterinary Medicine degree from the University of California Davis. He completed an internship at VCA West Los Angeles Animal Hospital, and returned for a residency in internal medicine at UC Davis. He is currently a staff internist at VCA West Los Angeles Animal Hospital. In addition to his clinical duties, he is also the director of the rotating internship and internal medicine residency programs. Tracy attended undergraduate training at the University of Pennsylvania with a Bachelor’s in Biology. She then obtained a Doctorate of Veterinary Medicine from the University of Minnesota in 2005. After completing an internship and small animal internal medicine residency training at North Carolina State University, she was awarded a Diplomate in Small Animal Internal Medicine from ACVIM. After completing specialty training, Tracy obtained a PhD in gastrointestinal physiology from North Carolina State University. For her research, she developed an ex vivo model of acid injury to canine gastric mucosa using the Ussing chamber system to study gastrointestinal permeability. Tracy also completed Fellowship training in Veterinary Interventional Radiology at the Animal Medical Center in New York City. She then took a post as senior lecturer at the University of Edinburgh in 2012 through 2016 in the Small Animal Medicine and Interventional Radiology. 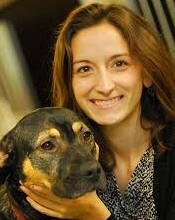 She is currently an Assistant Professor at the University of Georgia in the Department of Small Animal Medicine and Surgery as part of the Small Animal Medicine and Interventional Radiology services. Her research interests are in gastrointestinal diseases and the effect of critical illness on gastrointestinal health as well as developing and improving non-invasive treatments through the Interventional Radiology service. Joe attended New York University and graduated with a degree in Psychology and Biochemistry before attending and completing veterinary school at Western University of Health Sciences. He completed a small animal medicine and surgical internship at VCA West Los Angeles Animal Hospital and a residency in Internal Medicine at the University of Minnesota. He became boarded in Small Animal Internal Medicine in 2014 and returned to VCA West Los Angeles Animal Hospital as a staff internist. He has a strong interest in gastroenterology and has been involved in numerous research projects investing the molecular mechanisms involved in canine inflammatory bowel disease. Joe also has an interest in marine mammal medicine and has worked extensively with Atlantic Bottlenose Dolphins and California Sea Lions at the U.S. Navy Marine Mammal Program and Dolphin Quest Hawaii. -Small intestine: moderately to markedly irregularity of the mucosa (especially in the proximal half of the SI), with several small nodular lesions with depressed, ulcerated centers. A number of focal erosions are seen, several linear hemorrhagic lesions and a few dilated lacteals. -Stomach: Prolonged gastric transit time. Irregular area in the antrum that is concerning for a mass. On some frames, it appears that the mass may be attached to a stalk, but this is not definitive. Some patchy irregular gastric mucosa is seen as well. -Small intestine: Irregular/thickened mucosa in the duodenum and patches of mildly irregular mucosa and some mucosal fissures seen in the jejunum and ileum. Colon: The colonic mucosa is completely obscured by feces. -Moderate response to therapy initially, however recurrence of weight loss, lethargy and poor appetite noted frequently. Stomach: very cobblestoned, edematous appearance. Multiple areas of splotchy red with some erosions – incisura, cardia, fundus all affected. -Stomach: Prolonged gastric transit time. Many areas with erosions, some of which are large, as well as several hematomas and a few nodular areas. 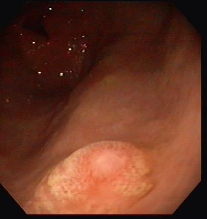 In other areas, the mucosa is irregular, with a cobblestone appearance. At the pyloroduodenal junction, linear areas of erosion/ulceration and bleeding are seen. -Small intestine: Diffusely irregular duodenal mucosa with a thickened appearance. On some frames, patches of mucosa look eroded with no villi surrounded by thickened/irregular mucosa that looks nodular. There are rare scattered dilated lacteals seen. The appearance of the mucosa remains irregular throughout the SI, but the severity of the changes lessens as the capsule passes distally. -Colon: the colonic mucosa is partially obscured by yellow mucoid feces, however, areas with erosion and suspect previous hemorrhage can be seen. The mucosa looks irregular in areas and pale round lesions can be seen in two areas. -Stomach: Prolonged gastric transit time. -Numerous gastric erosions with signs of active hemorrhage and irregular mucosa. -Small intestine: Proximal duodenum mildly erythematous and mildly irregular mucosa. -Several tapeworms are present in the mid-SI. -Colon: Obscured by feces. Visible mucosa normal. -Stomach: large amount of fluid and moderate amount of dark brown material withnumerous ulcers/erosions and evidence of active bleeding. -Small intestine: Moderately irregular proximal duodenum with rare dilated lacteals. -Themid-SI has moderate to marked irregularity and thickening with numerous dilatedlacteals. -Mild-moderate mucosal irregularity and lacteal dilation is seen in the distalSI/ileum. With ALICAM, you can offer your clients a cost-effective solution that yields illustrative diagnostic results without any harm to their dogs. What makes ALICAM truly remarkable is that it simply makes imaging easier. While being imaged, the patient can walk out of the clinic and go about its day with no interruption. Nothing is more compelling than being able to show a client an abnormality. Clients tend to be more compliant with treatments and more willing to pursue additional tests or therapies when they can see the problem. Alternatively, normal images provide peace of mind. ALICAM is a win-win proposition for clients. When you use ALICAM, it is like having instant access to an imaging center. You will be able to incorporate diagnostic imaging in the work-up of patients, develop imaging algorithms and have access to expert treatment recommendations. This enhances your bottom line and improves the care you can offer. Because Infiniti Medical can perform the reading analysis for you, no special training is required to use ALICAM. Once the images are analyzed, you will receive detailed visual evidence and insightful clinical recommendations tailored for each case. The cutting edge technology built into ALICAM means that there is no need to purchase expensive equipment or worry about anesthesia to perform a study.